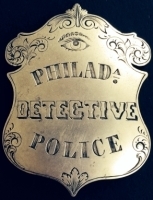 Sheriff of Hawaii badge (with eagle) is of rose gold and is a presentation piece dated Jan 1,1894 (beginning of Provisional Government), from Hilo Police. 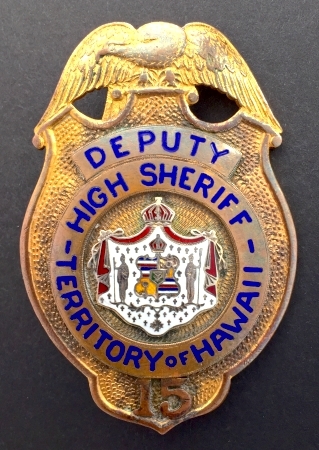 Sheriff of Oahu badge. Circa 1852, Kingdom of Hawaii. 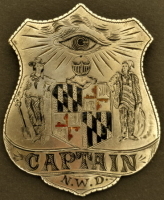 Hawaii Capitol Keeper badge #6 may have been for the Powder Magazine as shown below. 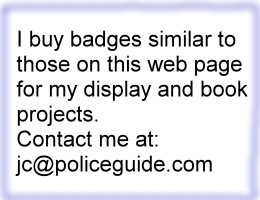 Honolulu Police badge #28. Sterling silver with hard fired black enamel. Deputy High Sheriff badge #15, Territory of Hawaii. Maker marked DB Honolulu. 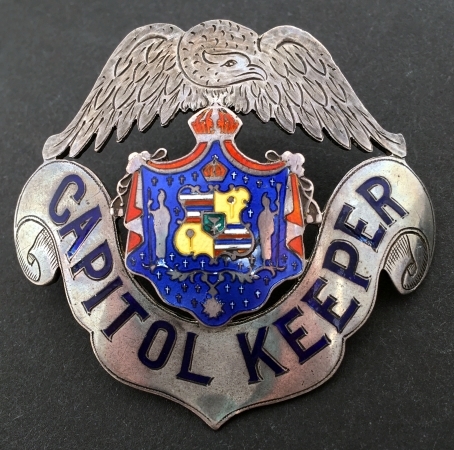 Capitol Keeper hat badge. Sterling silver with hard fired blue enamel lettering and a custom multi colored seal. 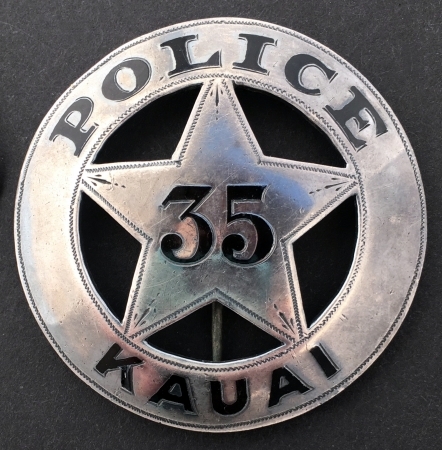 Police badge #35 Kauai. Sterling silver with hard fired black enamel.